Asker August 22nd 2018 – 4Subsea has been awarded a 3-year Master Service Agreement for processing of BOP measurement data for a selection of Equinor’s mobile drilling units operating on subsea wells. The purpose of the contract with Equinor is to provide well monitoring services and rental of sensors to support Equinor’s need for collecting, processing, and documenting BOP measurement data for improved operational decision support. “Equinor is in the forefront of the industry in the way they are applying data and digital services to reduce operational risk and cost during drilling operations. We are very proud that they have chosen 4Subsea as a partner for such services and we look forward to continuing the close cooperation with them”. CEO of 4Subsea, Peter Jenkins. 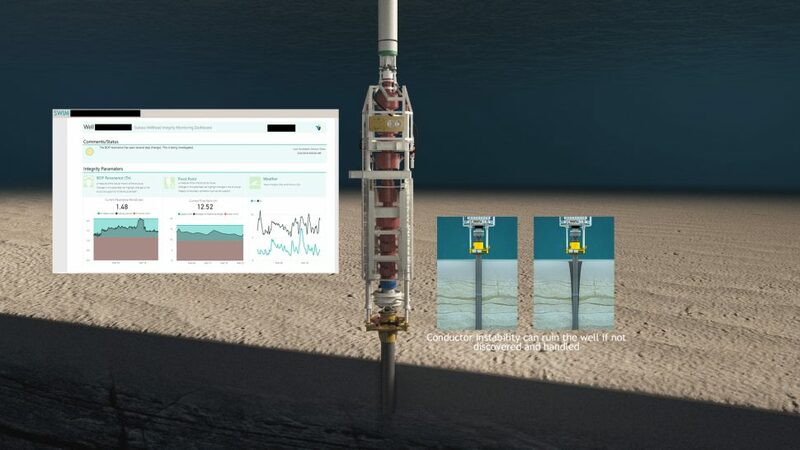 The SaaS agreement means that 4Subsea will provide a digital service, SWIM™,for visualising condition monitoring parameters for subsea wells during drilling operations,in addition to providing data streaming and rental sensors when needed. 4Subsea will also have an onshore team of experts available to support Equinor’s onshore drilling organisation. 4Subsea will support Equinor in getting insight from the BOP measurement data streamed from their mobile drilling units. Analyst company Frost & Sullivan awarded 4Subsea the Product Leadership Award for SWIM™ in February 2018. “With the new wave of digitalization and emergence of Industrial Internet of Things (IoT), it is set to transform the traditional oilfields into digital oilfields (DOF). 4Subsea’s SWIM is embedded with intelligence and connectivity that serves as a critical tool in the operator’s decision-making process”. Kiravani Emani, Senior Research Analyst, Frost & Sullivan.